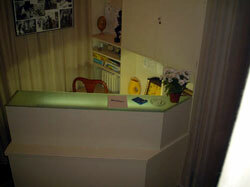 Hostal Dolce Vita in Madrid City Center, Spain. 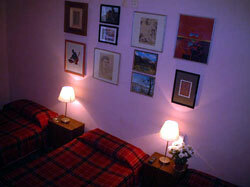 This hostel is located in the center of Madrid, between Gran Vía street and the Plaza de Chueca. The neighborhood is famous for many reasons, from its tolerant mood to its stores which are always on the leading edge of the latest trends, to its festive and exuberant atmosphere. La DolceVita is located on the third floor of a very beautiful, historic building. There are 17 rooms and 40 beds altogether. 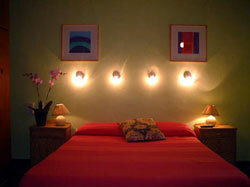 As our guest, you will therefore have a choice between individual rooms and rooms for two, three and four people. Our staff speaks English, Spanish, Italian, Russian and Bulgarian. The hostel has recently been restored in order to preserve the special beauty of the architecture of its time and accommodate within it today's building concepts and criteria. It is famous for its personalized service, for its safety and cleanliness and above all for the high quality of the service and amenities offered at this price level. 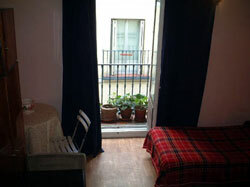 Location: It is located in the heart of the lively Chueca neighborhood close to two major subway stations Gran Via (line 1 and 5) and Chueca ( line 5).